What did you do this Saturday night? I have a lot to do--I'm having a baby in the next few weeks and there is a lot of preparing that has to be done. Our guest room/office is being turned into a nursery/guest room... so all of the office stuff needs to be relocated. (That reminds me--who watched The Office? I CRIED.) We need to sort through all our junk and find new homes for it--whether it be the trash, a thrift store or some other corner of our house. Tonight I decided to tackle one of the most important and daunting tasks on my lists--testing all of my pens. Somehow our house has these little collections of pens all over the place. 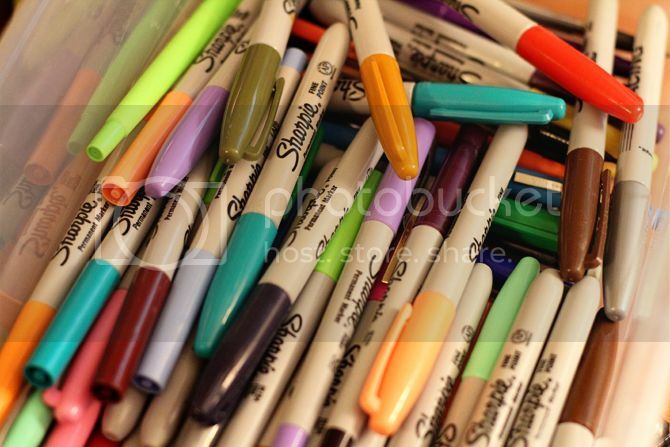 I'm borderline obsessed with Sharpies and Paper Mate Flair pens--and Sol routinely brings home 2-3 pens from work. I seriously think we had close to 500 pens. I'm not kidding. And I desperately tried to throw away any ball point pen or pen that was being used as a marketing device--but Sol has some sort of emotional attachment to them and really want to keep them. Or donate them. He was fiercely protective of his pens. I'm submitting his name to "Hoarders." In the end, these are the pens I am keeping. And these are the pens that I am not keeping. 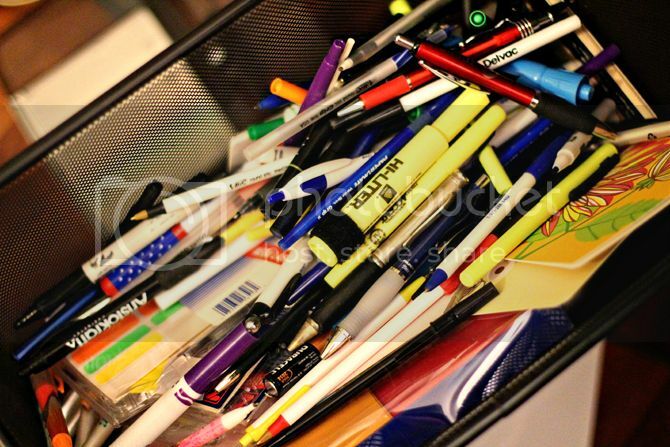 Quote from Sol: "So not only are you not letting me keep my pens, you are also going to blog about it to embarrass me. Cool." It's non-stop action over her, folks. I can't judge.. I spent Sat night doing grad work. I'm also very impressed by your pen collection! PS, I'm still not over the office. Cried my eyes out like such a dork! I need to stop leaving you on Saturday nights. 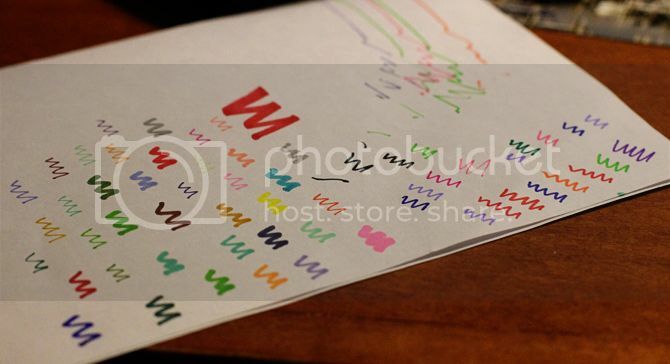 Is it wrong that my whole thought was, "I hope those sharpies are the ones she's tossing. I'll pay postage to get THAT set of pens." Sol, I don't really want yours. You need to get over them. Oh I definitely cried watching the Office. You are not alone. I squealed like a girl AND cried! So sweet.